Oh well. So much for NaBloPoMo. Today I am attempting to clean up my desk and my house and the OMG piles of paper everywhere. 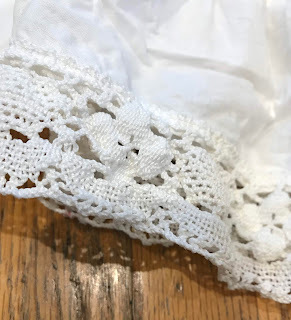 And, because sometimes I roll that way, I'm listing weird shite on eBay, like a petticoat from Laura Ashley that I wore in high school. It was meant to be worn peeking out from under one of those Victorian-meets-prairie cotton flannel dresses. And it has now been kicking around my house, unworn, for far too long. 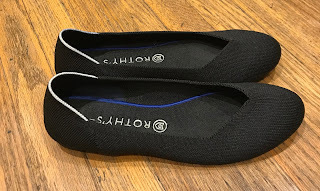 Last year, I fell into a headline trap and bought a pair of those Rothy's shoes. I so liked the idea of them, but I just didn't like the way they fit me. Them? They're going on eBay too. How about you? Are you a throw it away person, a give it to Goodwill person, a hold onto it until someone needs it person, or a let's put it on eBay person? I'm a Goodwiller, myself. I sort of dream about putting stuff on Ebay, but can't pull together the time and organization to do it. Given the option between keeping my stuff until some free time lands in my lap or just giving stuff to Goodwill.... I just give it away.